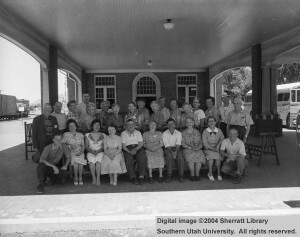 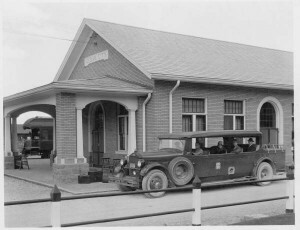 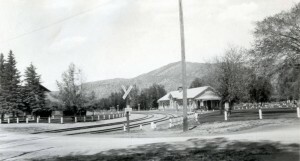 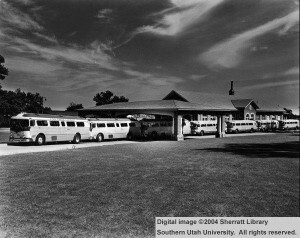 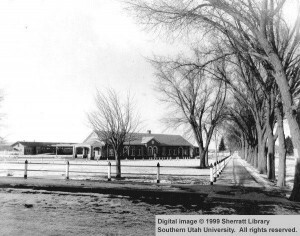 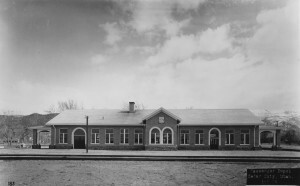 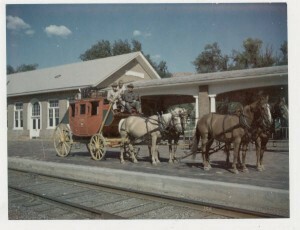 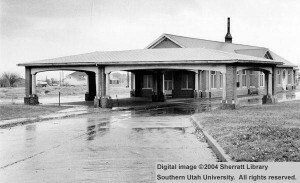 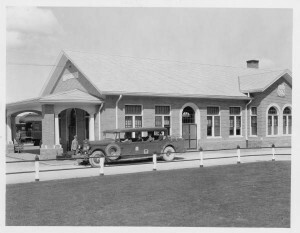 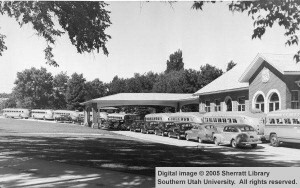 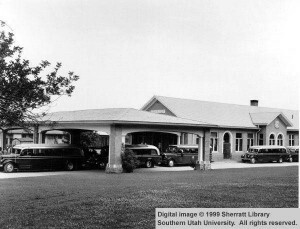 The Cedar City Train Depot was located on the corner of main street and 200 N (where the Depot Grill is located today). 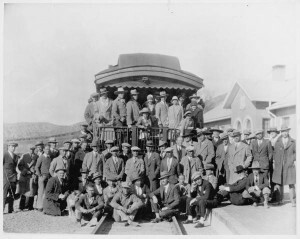 The Union Pacific Railroad Company reached Cedar City in 1923. 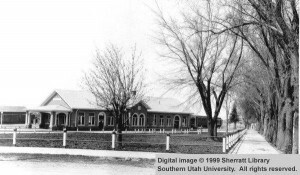 This contributed greatly to Cedar City’s growth in mining and agriculture, providing an outlet for the products of the iron mines as well as produce. 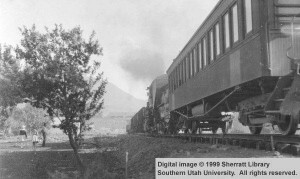 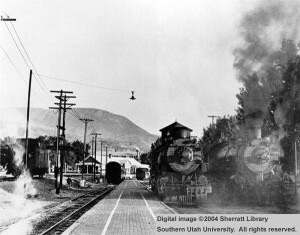 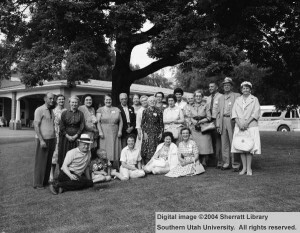 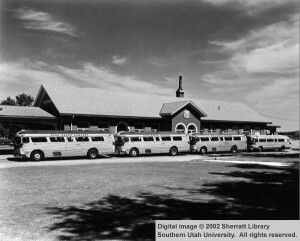 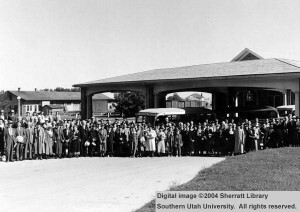 The railroad exposed Utah’s National Parks to the world of tourism and Cedar City was dubbed “the gateway to the parks.” Though the Depot was closed in 1959, the railroad still comes through Cedar City and transports products in and out of the community.